I have very fond memories of individual chicken pot pies. Do you remember the frozen Swanson pot pies? When my parents were working late, they were our go-to choice. I loved the crust with the filling that was chocked full of chicken pieces, vegetables, and an incredible creamy sauce. My tastes have changed quite a bit over the years, and those frozen chicken pot pies aren’t what I remembered. After all, I was nine. To resurrect that memory, I decided it was high time I made my own. Roll out two pie dough rounds to about 13 or so inches. Cut the round of dough in half. Shape it into a cone and gently lower it into one of the ramekins. Allow the dough to drape over the sides. Gently press the pie dough around the bottom and sides to seal the edges and then shape it into the ramekin. Cut off the excess dough ¾ of an inch or so below the rim of the ramekin. Repeat the same process with the remaining ramekins. Soften 2 tablespoons of butter and brush on the dough-lined ramekins until the pie dough is nicely coated. Roll out the remaining pie dough to around 12 inches. 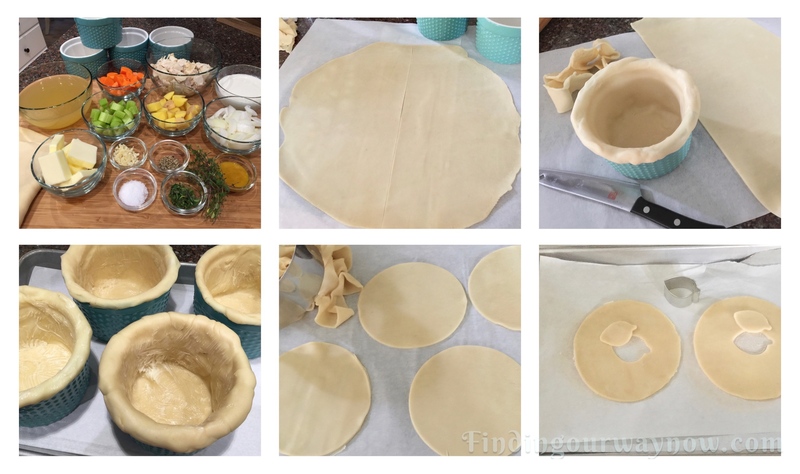 Measure the opening of the ramekin and use a round cutter about that size to create four crust tops. Place the rounds on a parchment lined ¼ baking sheet. Cut a decorative vent in the center of each top. Brush the bottom side of the cutout pieces with milk and place off to the side of the vents. Place dough-lined ramekins and crust tops in the refrigerator until you’re ready to add the filling. Prepare the vegetables. Melt the remaining butter in a medium saucepan. Mix in the prepared vegetables (minus the peas) and sauté until al dente about 5 minutes. Add the chicken and sauté with the vegetables for about 1 minute. Add the chicken stock, salt, pepper, thyme, and garlic. Bring to a boil. Reduce to a simmer. Slowly add the cream, whisking until incorporated into the liquid. Simmer for 3 to 5 minutes or until the mixture starts to thicken. Add the peas. Check seasoning and add additional salt and pepper to taste. Allow the filling to cool. Remove the prepared ramekins and crust tops from the fridge. Ladle the mixture into each ramekin. Brush a bit of milk around the crust edges. Place the crust top on top of each filled ramekin and crimp the edges to seal. Brush the tops with a bit of milk. 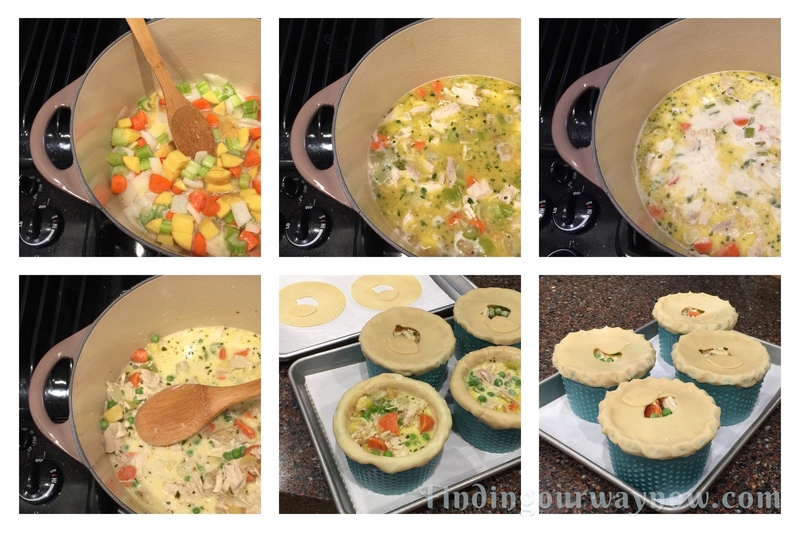 Place the individual chicken pot pies on a parchment lined baking sheet and place on the middle rack of the preheated oven. Bake for 30 to 35 minutes, or until the crust is golden brown. Variations: There are many variations I could share but these are the most common. Turkey Pot Pies: Substitute turkey for the chicken and follow the same instructions. Beef Pot Pies: Substitute the cooked chicken for small pieces of tender beef. Sauté the beef with the vegetables. Use beef stock and beef bouillon paste in place of the chicken stock and bouillon paste. Replace the cream with tomato juice or more beef stock and 1 tablespoon Worcestershire sauce. Thicken with a bit of arrowroot. Notes: I prefer my individual chicken pot pies with lots of filling and less sauce. If you would like more sauce then increase the stock by ½ to ¾ of a cup and the cream by a ¼ cup. 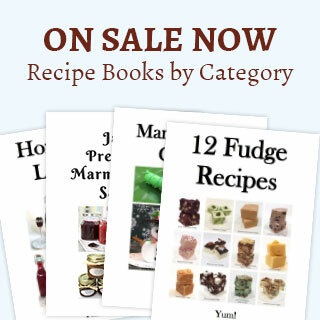 You can prepare the pie dough filled ramekins and tops ahead of time. Likewise, the filling can be prepared ahead of time too. When you are ready to bake them, just fill the ramekins and bake until the crust is golden brown. Lining the ramekins with pie dough can be a bit tricky. I found by shaping it into a cone then lowering into the ramekins allowing the dough to puddle in the bottom really helped make it easier. 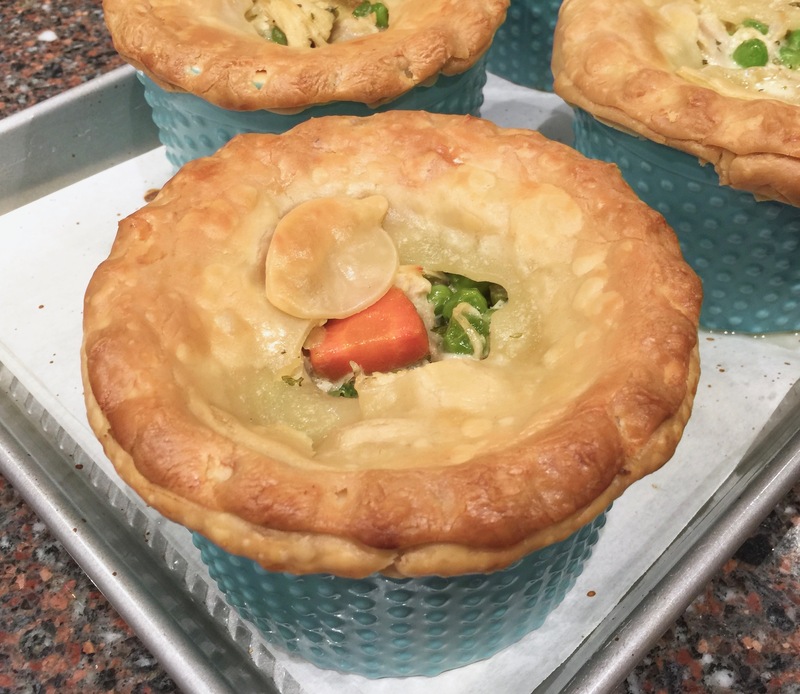 These pot pies are quite large and are meant to be a meal unto themselves. If you prefer smaller pot pies, reduce the size of the ramekins. For 6 oz. ramekins, cut the dough in quarters and proceed as directed. For a quicker version just top the ramekins with crust and skip lining the ramekins with pie dough. As the individual chicken pot pies were pulled from the oven, the aroma alone was enough to throw me back to an earlier time. I smiled and thought of how I so adored a good chicken pot pie. Now, I have my own with no excuses not to enjoy them whenever I have a craving for one. I particularly like the fact that I can prepare the two parts ahead of time. It makes it so easy when I’m ready to have for guests or just because. Enjoy.